Children’s questions are always the hardest ones, more so than those of journalists, Francis confessed various times. Children don’t have mental filters or barriers: they say what they think. Their emotional sensitivity and capacity for abstraction are combined with non-diplomatic immediacy. This is why confrontation with them is as merciless as it is profound. The questions of the “little ones” are often those that we “big people” no longer are able to ask and, above all, to ask ourselves. The Pope answered all of them, and so I was able to gather both the drawings and the answers into the book Dear Pope Francis, that has gone all the way around the world in so many languages. Since then the Pope continues to receive hundreds of drawings and questions from all continents. 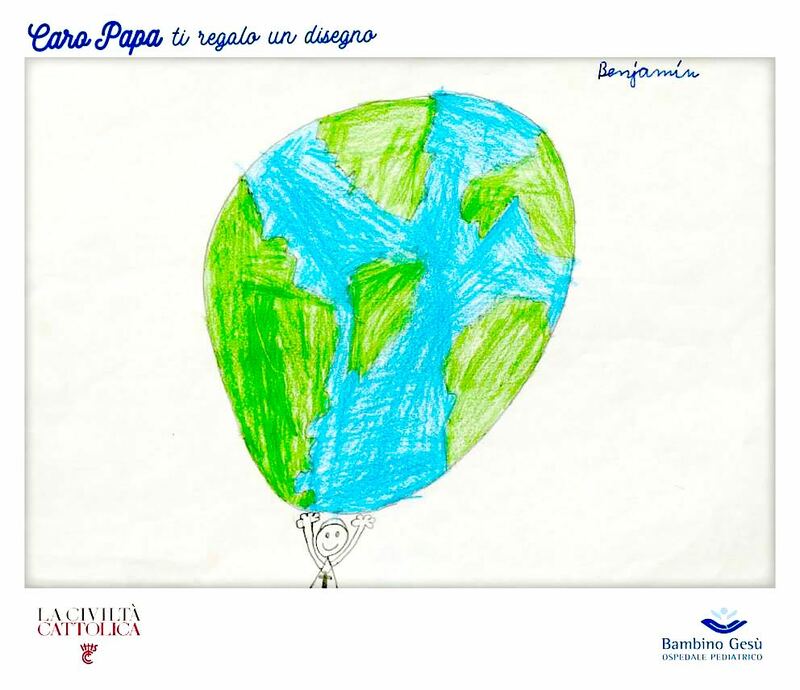 When Francis travels, he receives the drawings directly from the hands of children. 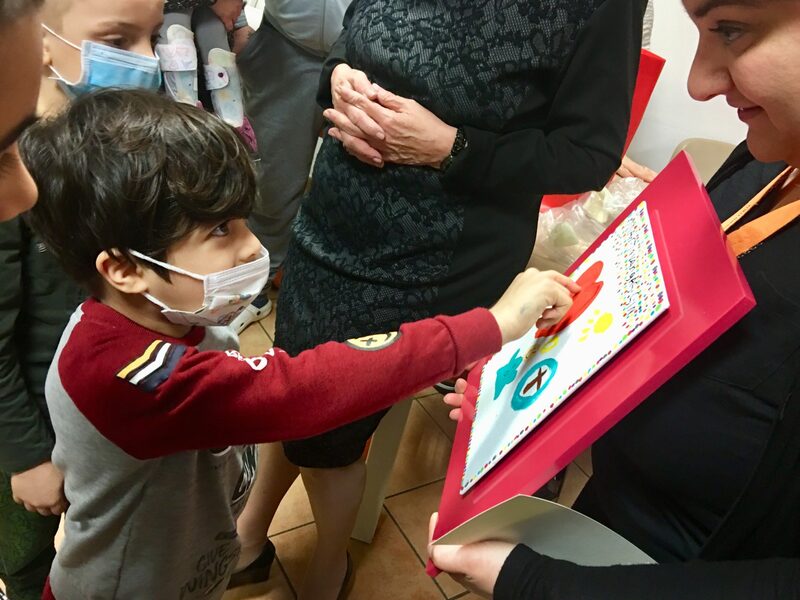 Sometimes they are sick children from the various hospitals, at times enthusiastic children, sometimes migrant children, like at Lesbos. They depict the world and they offer it to the Pope. They draw what they see; not the good or the bad, the light or the shadow; they draw people and things. They also draw the Pope, thus saying, without words, who he is for them. A drawing that struck me depicted Pope Francis as a new Atlas who carries the world on his head. And the world in that drawing was full of windows, green ones on houses, all open. But also the drawing of a migrant child who sees the sun crying while a mother drowns with a baby in her arms. Francis admires these drawings, “reads” inside them because the children “say what they see, they are not two-faced people, they have yet to learn that science of duplicity that we adults have unfortunately learned”. “Where will you put these drawings that you like so much?” I asked the Holy Father. He looked me in the eyes and asked me to take care of them, keeping them at La Civiltà Cattolica, and coming up with something…. And I had the impression he was granting me a priceless treasure: the world as seen by kids. From here came the idea to do something beautiful, so many beautiful things, because this gift of the children to the Pope became a gift for other children. In Mariella Enoc, president of Bambino Gesù Hospital, I found the right harmony to give a concrete face to this idea. 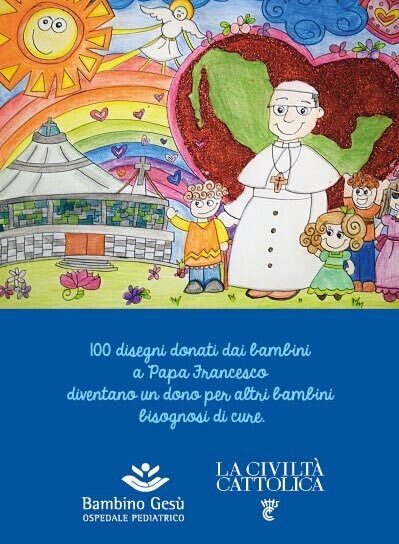 The world of children that we admire in their drawings for the Pope is an emotional world, that is not split up with scalpels into feeling and reason. And so here the Pope draws a lesson for all of us: “Many times our smile becomes a cardboard smile, even an artificial smile like that of a clown. Children smile spontaneously and they cry spontaneously. It always depends on the heart, and often our heart blocks up and loses this capacity to smile, to cry. And so children can teach us to smile and to cry once more”. Perhaps this is the most challenging message we receive when we take these precious drawings in our hands.